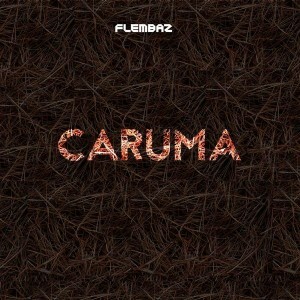 Flembaz is back with Caruma, their third full-length album, released by Blind Arc. This time around it’s a more cerebral endeavour focused more on the overall listening experience. With slow build-ups leading to raw and ecstatic yet structured peaks, this is a minimalistic take on the psychedelic realm of techno music. The title reveals the thought process of the album: in Portuguese, Caruma is a collective noun for needles that amass in the soil beneath pine trees, the setting of volatile microcosms, and a perfect firestarter. As with previous released from Flembaz, this album was mastered by João Bandarra and Pedro R. Artur at Tripalle Studios with artwork by Fred Sarmento. MP3 Download | FLAC Download | WAV Download · Download count: 19,423. Released under a Creative Commons license for noncommercial usage. If you enjoy this offering donations are welcome via Bandcamp. Great album, lovely progressions! Love the Orientalle track! Great album! Super hypnotic! Perfect for the outdoors! Man Superb album and Huge Quality! Best album of the year so far! Chocalheiro track its one of the most powerful tracks i have heard in the last years, i hope to see them live some day. Superalbum! Keep up the great work!!! Wow! great tracks. And I think they will mix good together. Lovely work! undoubtedly a breath of oxygen Psychedelic with plenty to explore. This got me out of my body 3 or 4 times, epic work! .wav extraction won’t play on power amp……..tried re-download ingredients twice. Currupt.